Without ESPN and the late Stuart Scott, the manifestation of media personality Akil Augustine may never have been witnessed by the Canadian masses at-large, writes Karim Grant. ESPN holds a special place in my heart. I’ll tell you why. Having spent the latter part of my childhood growing up in the ’90s — a decade which some view as the single-most important decade of the modern urban era — I was able to witness first-hand the meshing of two distinct cultures: sport and hip-hop. That marriage provided a platform for aspiring broadcasters like the late, great Stuart Scott to sprinkle elements of hip-hop and urban culture into his daily broadcasts through eloquently articulated prose and verbiage. It also normalized the appearance of Black broadcasters appearing on daily television at a time when their presence wasn’t actively supported or displayed. Without that platform, the manifestation of media personality Akil Augustine may never have been witnessed by the Canadian masses at-large. Augustine has an infectious smile that literally lights up rooms and a demeanor that invokes the kind of positive and engaging vibes reminiscent of Napoleon Bonaparte. On a hot afternoon in June, I sat down with the Trinidadian-born, energy-infused broadcast journalist to get his story. The North American version of Augustine’s. In a modest one-bedroom apartment, steps from Toronto’s Don River and minutes from the downtown core, Augustine, is clad neatly in basketball shorts and sandals, reminiscent of garb only a true downtowner would wear. It’s a simple juxtaposition of style, indicative of the eclectic diversity that surrounds this storyteller. We sit comfortably on a modern sectional, devouring pizza and sipping frosty beverages while his favourite artist, MF Doom, provides a comfortably quiet soundtrack in the background. Augustine begins to tell harrowing tales of youthful exploits that had him dabbling in street life and witnessing abuse at the hands of family acquaintances. It’s hard enough being Black in North America, but to be a Black broadcast journalist in an industry dominated by white men, it is refreshing to see Augustine exuding the confidence he displays. Augustine is a seasoned reporter and broadcaster that got his start doing odd jobs behind the scenes, working for next to nothing, and sometimes even nothing, to break into the industry. A hustler’s ambition and attitude is undoubtedly reflective of the life he’s been a part of and witnessed. As Augustine speaks, it becomes evident that his penchant for storytelling and painting vivid oral pictures is like another familiar wordsmith — Nas. Nas brilliantly conveys stories of a sordid youth through music. Augustine similarly does this while orating his own existence. Born in the twin republic of Trinidad and Tobago, Augustine spent his formative years in a poor neighbourhood called Laventille — a neighbourhood known for its elevated crime rates and poverty. A neighbourhood also known for giving birth to ingenuity, as it is held as the place where the steelpan was created and is the birthplace of innovators and world-renowned tuners like the late Rudolph Charles, Bertie Marshall and Roland Harrigin. From this concrete, many roses have been birthed. Akil Augustine is one of them. Having seen the ails that came along with living in Laventille, Augustine’s parents made the brave journey to North America, in search of something better for their family. Their first stop was Brooklyn, New York at a time in the mid-’80s when crack cocaine had left its indelible mark on the Black community. Augustine was quickly sent to Toronto, Canada where he was to stay with his aunt. He was promised a reunion with his parents later. That reunion never happened. 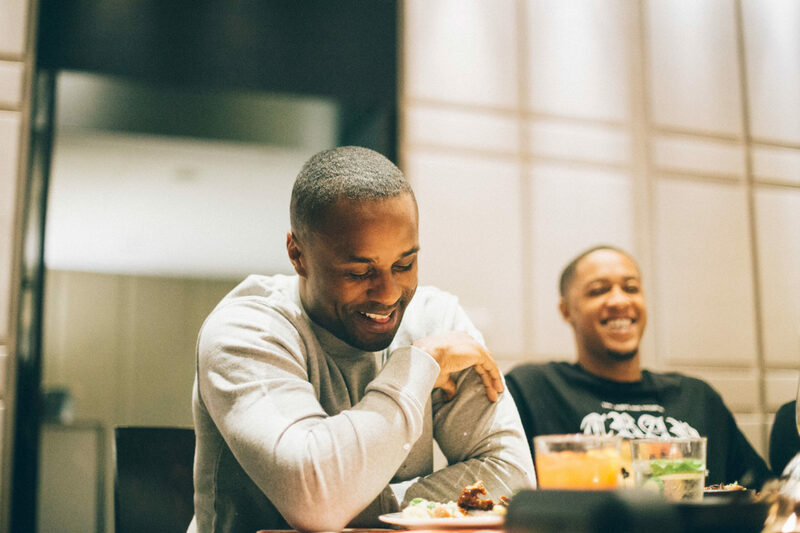 Instead he was made to acclimate himself to his burgeoning manhood through his own experiences and speckled mentorship from the streets and the local basketball community. Augustine unapologetically describes his childhood with vivid memories that have helped to mold and shape his resilient and effervescent character. Character traits that have most definitely made him the dynamic journalist he is today. Like the venerable Kanye West, Augustine was a college dropout that found difficulty in balancing both life and scholastic responsibilities. Although he did eventually complete his education, it was not without financial struggles that often found him choosing between something to eat and bus fare home. His passion for basketball runs deep. It’s hard enough being Black in North America, but to be a Black broadcast journalist in an industry dominated by white men, it is refreshing to see Augustine exuding the confidence he displays when reporting on his hometown team, the Toronto Raptors. 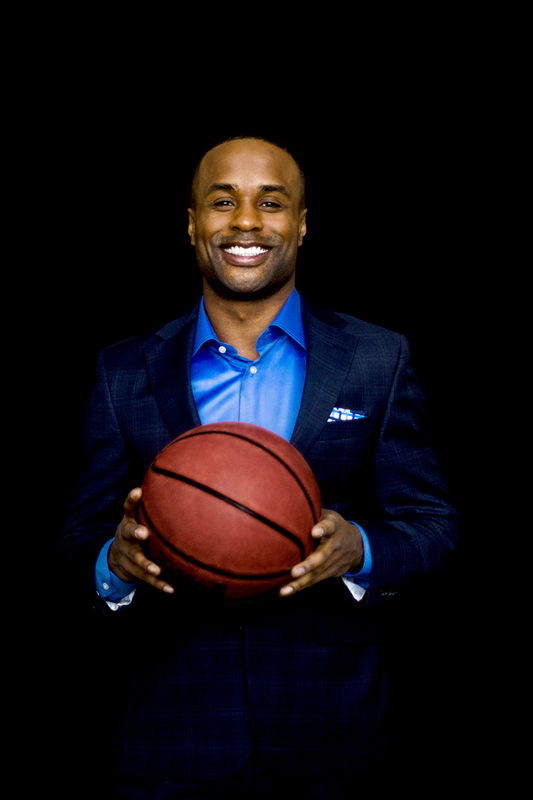 As an employee of Maple Leaf Sports and Entertainment (MLSE), Augustine has been able to cultivate a following of basketball enthusiasts from his show The Hangout — a 30-minute show on NBA TV Canada, curated and hosted by Augustine that allows invited guests to exchange dialogue about the latest news in the world of the NBA in a relaxed atmosphere. Augustine credits TSN’s Cabral “Cabbie” Richards as the person who gave him his first shot in the business, as he interned with Cabbie for three years. Cabbie, a Black broadcast journalist himself, played the brother’s keeper role by giving Augustine a hand up, instead of a handout. An act that has reverberated within Augustine so much that he has lent his hand to the career advancement of his dear friend and current producer of The Hangout – Duane Watson, who worked tirelessly until the two became associates. The afternoon is scorching hot, even by early June standards. We sit back and inhale the downtown aroma, wipe the occasional sweat from our brow, muse about Augustine’s violin that sits quaintly in his dining room, and ruminate about the late greats — J Dilla, Guru and Biggie Smalls. When Stuart Scott passed away some time ago, a smidgen of urban sports journalism died, however within his death, a renewed sense of belonging, pride and optimism was born, enabling the likes of young, Black journalists like Augustine to stand on the shoulders of greats with the prospect of changing media, one show and one story at a time. "To educate and entertain the world by being an example of joyous learning and growth!"